signed in the bronze cast: "M. Klinger fec." foundry mark: "AKT. GES. vorm GLADENBECK & Sohn"
The present statue is Klinger's copy in bronze, on a lesser scale, of his first polylitic marble statue now in the Museum of Fine Art, Leipzig. 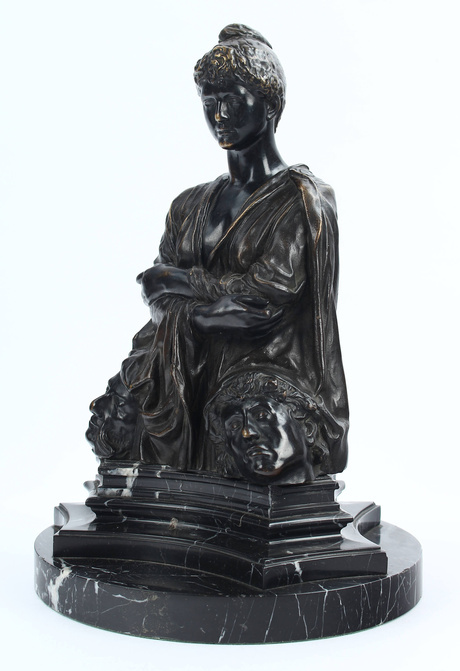 There were four versions in bronze, of which this is one.